Washington’s offense falls apart late as the Milwaukee Bucks beat the Wizards in Washington for the second time in nine days, 104-95. Giannis Antetokounmpo led the Bucks in scoring with 27 points and a career-high 19 rebounds as the Bucks snap their two-game losing skid. John Wall led the Wizards in scoring with 27 points (16 in the first quarter) while Bradley Beal and Kelly Oubre Jr. both added 19 but aside of that trio, no other Wizards player scored more than eight points. The lead seesawed back and forth for the majority of the game evidenced by 15 ties and 13 leads changes. Washington went cold down the stretch making just one of six free throw attempts and one field goal in the final five minutes of the game. The Wizards two-game winning streak has been snapped and now faces their longest road trip of the year as their next five games will be played away from Capital One Arena. After committing 23 turnovers the other night against a depleted Utah team, the Wizards tied their season-high again in turnovers with 23 this afternoon. Bradley Beal was terrible handling the ball tonight as he had seven turnovers of his own. Too often, Beal got caught with the ball in the air or made a lazy cross-court pass that inevitably got picked off. The Bucks were opportunistic with the Wizards turnovers turning them into 25 points on the other end. The Bucks had many live ball steals of the pick-six variety that led to easy layups or dunks on the other end. With the Wizards trying to make one last push, Markieff Morris threw the ball away to Khris Middleton on a lazy cross-court pass which led to a layup that untimely killed the Wizards comeback chances. Wall, Beal, and Oubre were the only three Wizards players to crack double-figures in scoring this afternoon. Otto Porter had eight points today but one of those baskets came with the game already out of hand. Ball movement stopped in the fourth quarter and the Wizards returned to playing hero-ball which rarely bodes well. Beal continued to go ice cold in the fourth quarter as he was 0-4 from the field and John Wall struggled to score after the first quarter unless he was getting to the line. The only other semi-scoring option that the Wizards had tonight was Satoransky who chipped in with seven off of the bench. Bledsoe torched the Wizards with 23 points on 8-15 shooting but more impressively, he was able to get whatever shot he wanted at will. 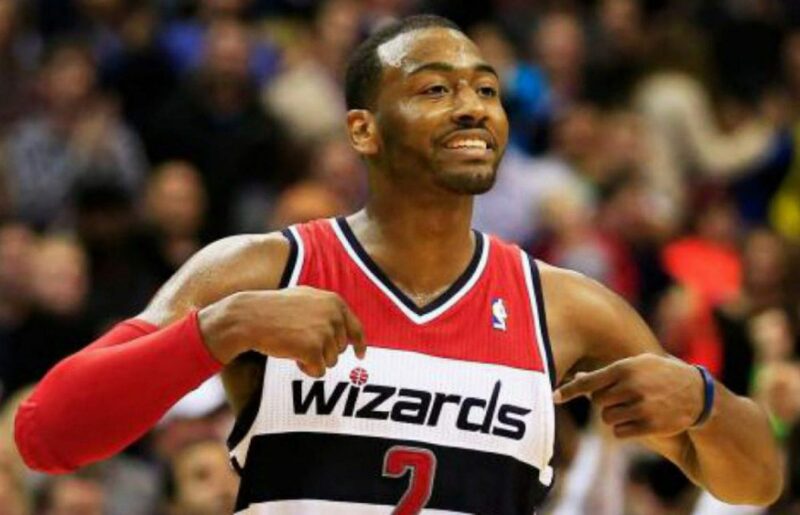 When the Wizards went under screens, he’d knock down open jumpers. When Washington tried guarding him one on one, he’d fly right by his defender. Not to mention Washington had no chance of slowing down Bledsoe when he got out in the open floor. The Bucks thrive in transition but aren’t that great in the half-court when running their offense. As a result, Bledsoe and the Bucks made the Wizards pay and it was the difference today. Bradley Beal’s streak of 11 straight games with 20+ points is snapped as he scored just 19 today. Mike Scott apparently is human as he was just 2-5 from the field tonight for five points.